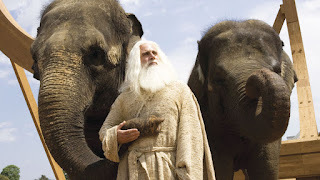 A family-oriented comedy, Evan Almighty scores some laughs but spends too much time in a CGI-generated animal kingdom. News anchor Evan Baxter (Steve Carell) from Buffalo, New York, is elected to Congress on a campaign promise to "Change the World". Along with his wife Joan (Lauren Graham) and their three boys, he relocates to a massive house in a new Washington DC suburban subdivision. Baxter is quickly wooed by veteran Congressman Chuck Long (John Goodman), who is sponsoring a bill that would endanger parkland. After mysterious crates of building equipment start appearing at his doorstep, Evan is visited by God (Morgan Freeman), who instructs him to build an Ark in preparation for an impending flood. Evan does his best to ignore God's command, but is soon trailed by a huge number of animals, all in pairs. With his political career already endangered and his family believing he is going through a severe midlife crisis, Evan faces a major dilemma. 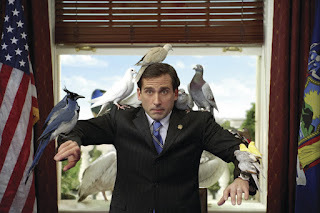 A sequel to Bruce Almighty and again directed by Tom Shadyac, Evan Almighty takes a firm turn towards fluffy family values territory and leaves behind the edgier material probed in the original. 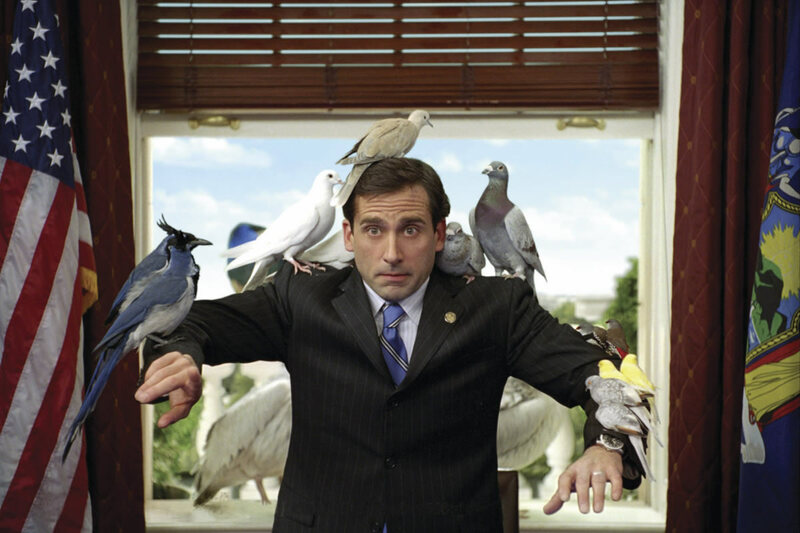 Compared to the frantic Jim Carrey, Steve Carell's more subdued brand of comedy is put to good use, although the bland build-an-Ark plot gets quickly tiresome. The film places plenty of trust in the special effects team, and they do deliver an eye-popping number of critters on the loose in Washington DC and the Virginia suburb where the Baxters take up residence. The climax is another special effects extravaganza featuring a flood of sorts. And throughout, Evan is subjected to a humorous and uncontrollable physical transformation into a Noah-type avatar, complete with beard and robes. The green screen emphasis means the plot did not receive too much attention, Shadyac and his screenwriter Steve Oedekerk probably hoping nobody would notice the almost utter irrelevance of the whole animal subplot when everything was said and done. The villainous plot of Congressman Long on which the entire movie rests is barely explained. Evan Almighty delivers a regular stream of chuckles, but mostly of the superficially cuddly and forgettable variety. Yeah, this is just a much blander copy of the original. Great review. Yes, this one went after a younger audience, apparently at a massive production cost! At least they did not rehash the plot of the original.